This 2oz jar will last for approximately 50 brushes. Now comes in a black jar. While you might not think that a black powder could actually whiten teeth, you'd be surprised. Will the black charcoal stain your teeth? No. It may look jarring to see a mouth full of black teeth while you're brushing, but it will rinse away completely, leaving clean white teeth. It may however stain your toothbrush or hand towel, so make sure you rinse well. Like any whitening product, charcoal can cause tooth sensitivity in some individuals if used on a daily basis. 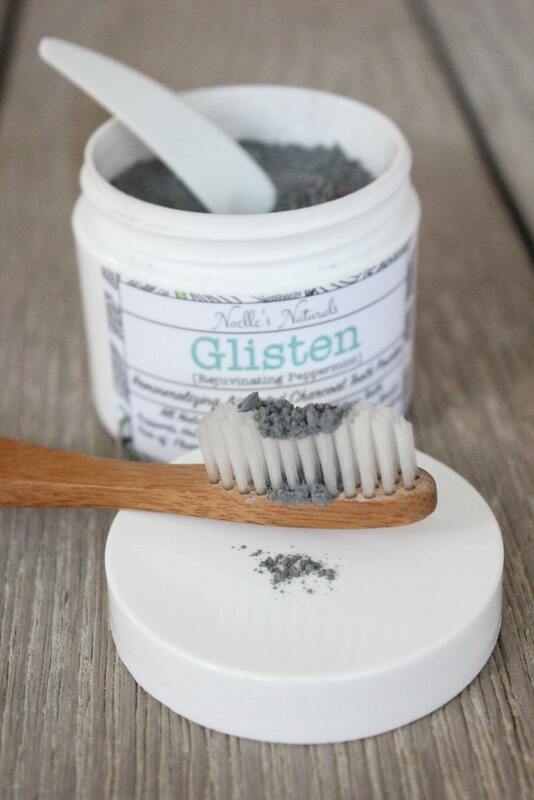 If you experience sensitivity, take a break from the charcoal and switch to our Gleam Tooth Powder for a few weeks, then go back to using the Glisten once or twice a week for whitening. 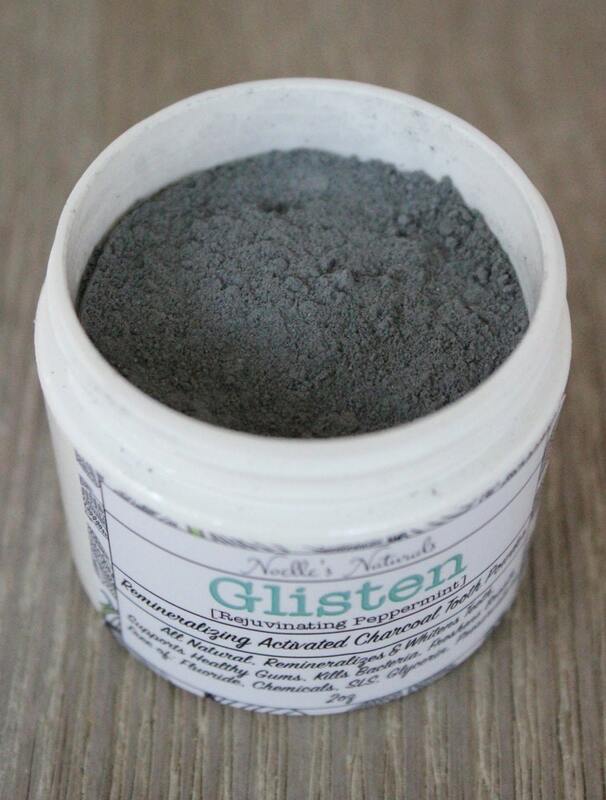 This recipe has NO fluoride, SLS, glycerin, preservatives ZERO artificial ingredients or chemicals, and includes plenty of naturally occurring trace minerals. Plus it whitens teeth, and leaves your mouth feeling clean and fresh. 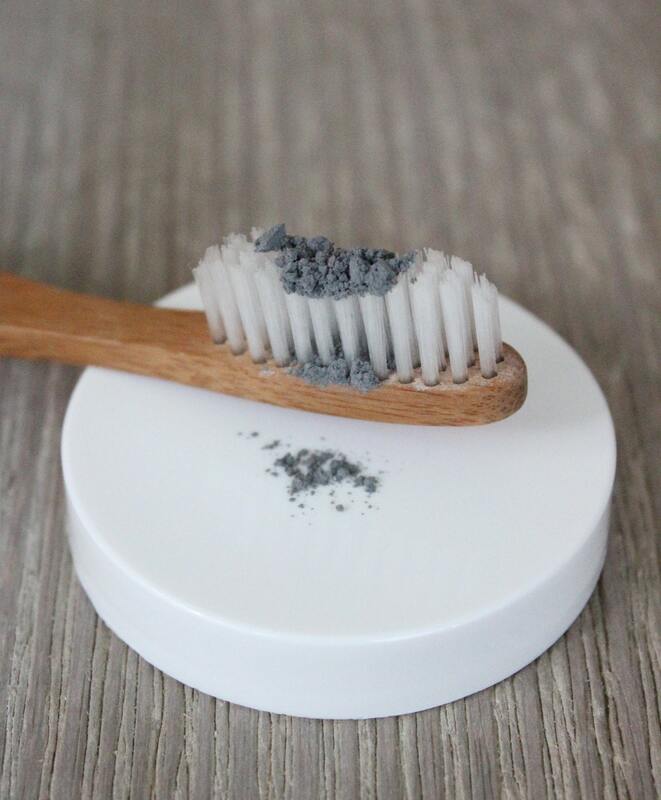 Directions: Sprinkle about 1/8th teaspoon tooth powder onto a clean wet toothbrush. (You can dip your toothbrush into the jar if you like, but it can contaminate the jar.) Brush as usual. Swish and rinse. 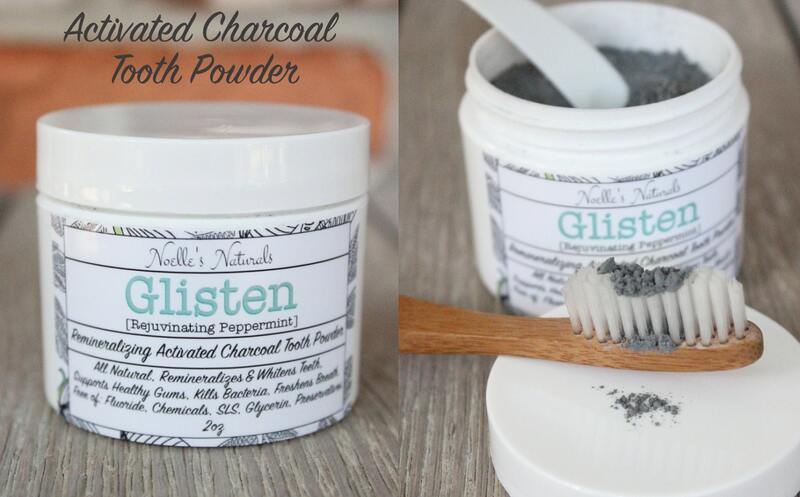 The ingredients in this tooth powder are non-toxic. This means no need to worry about kid's swallowing the toothpaste. This product is SAFE for kids! These statements have not been evaluated by the FDA or ADA. This product is not intended to diagnose, treat, cure or prevent any disease. Love this stuff! Thank you.